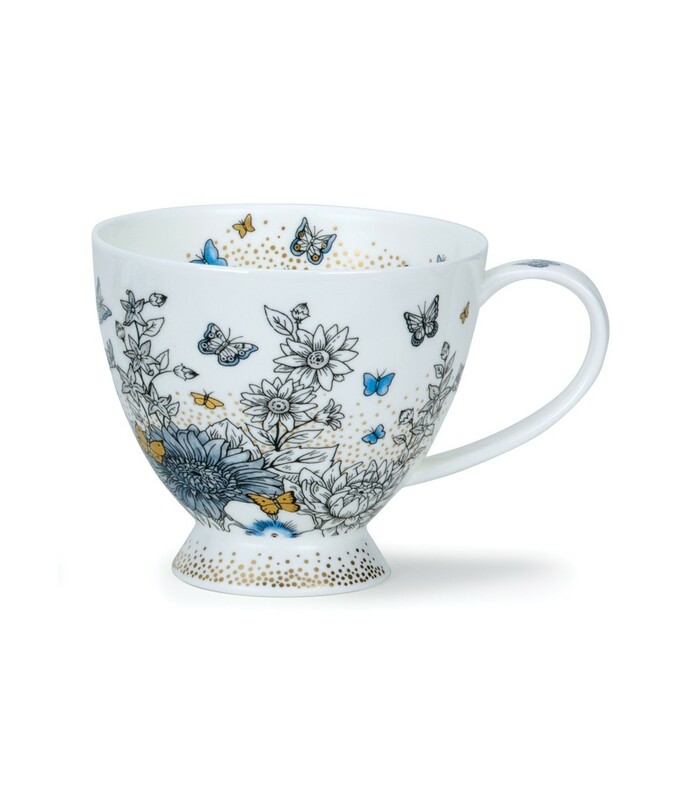 Featuring a magical design by Caroline Dadd, this beautiful cup is white and decorated with a detailed drawing of flowers and butterflies. Mostly monochrome, some parts are picked out with blue and gold and 22 carat gold dots representing fairy dust is sprinkled over the design. Inside the rim details from the exterior design feature, and the fairy dust also encircles the footed base. This is a lovely cup to drink from, whether on special occasions or every day! After working as design manager at Royal Doulton, Caroline took over her father's business and was able to continue working with Dunoon on mug designs, graphics and packaging projects. She interprets many artists' work from Monet to Van Gogh including the Gustav Klimt inspired mugs, and created the fun, fact filled Informative Glencoe mugs.